Protection of the Kitulo Plateau's unique flora was first proposed by the Wildlife Conservation Society (WCS), in response to the growing international trade in orchid tubers and increased hunting and logging activities in the surrounding forests. In 2002, President Benjamin Mkapa announced the establishment of the park. 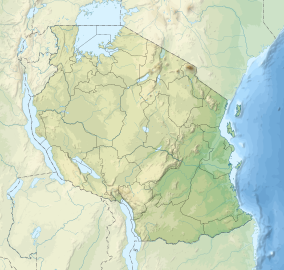 The park was formally gazetted in 2005, becoming Tanzania's fourteenth national park. TANAPA has stated that the park could be expanded in the future to include the neighbouring Mount Rungwe forest. In 2005, field scientists from the WCS discovered a new species of primate on and around Mount Rungwe and in the Livingstone Forest area of the park. Initially known as the Highland Mangabey, later changed to its Tanzanian name of Kipunji, it is one of the 25 most endangered primates in the world. ^ "Tanzania's New National Park Protects Edible Orchids". Environment News Service. 21 March 2002. ^ "Tasty orchids are selling like hotcakes in Tanzania". Mail and Guardian Online. 6 March 2003. ^ "Strengthening the Protected Area Network in Southern Tanzania: Improving the Effectiveness of National Parks in Addressing Threats to Biodiversity" (PDF). Global Environment Facility. 24 December 2010. p. 21. Archived from the original (PDF) on 28 September 2013. ^ "New Primate Discovered In Mountain Forests Of Tanzania". sciencedaily.com. 29 May 2005. ^ "25 Most Endangered Primates: The Kipunji". Primate Specialist Group. Archived from the original on 2011-07-27. Retrieved 2011-03-11. Wikimedia Commons has media related to Kitulo National Park.